The Walk - Denver, Riot Fest 20-Sep-2014 from itsaperfectday on Vimeo. The Caterpillar - Denver, Riot Fest 20-Sep-2014 from itsaperfectday on Vimeo. Belgian radio station RTBF is airing 10 minute specials this week (in French), about the making of 'The Head on the Door'. Listen to Part 1 / Part 2 / Part 3 / Part 4 / Part 5. There will be 2 screenings of 'Beautiful Noise' at the Bergen International Film Festival in Norway on Sept. 26th & 28th. Former THE CURE guitarist PORL THOMPSON is set to unveil his artwork for the first time at a gallery launch in Los Angeles next year (15). The musician, who now goes by the name Pearl Thompson, has never exhibited his multi-media paintings before. They will go on display at the Mr. Musichead gallery for three weeks from 5 March (15). Gallery owner Sam Milgrom tells WENN, "He came to an event at the gallery recently and played a set - just him and a guitar. We got chatting and he told me he had never exhibited his artwork. I took a look and it's wonderful. I can't wait to display it." 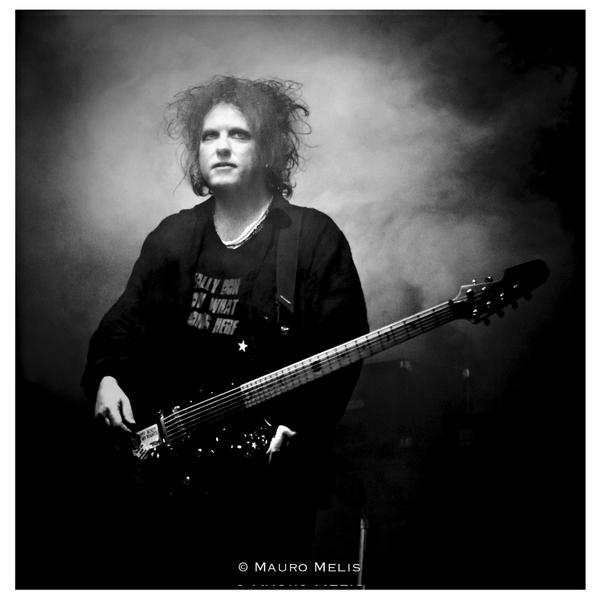 Thompson was part of the original 1976 line-up of The Cure. He has played on many of the group's albums." Doing the Unstuck - Denver, Riot Fest 20-Sep-2014 from itsaperfectday on Vimeo. One Hundred Years - Denver, Riot Fest 20-Sep-2014 from itsaperfectday on Vimeo. Never Enough - Denver, Riot Fest 20-Sep-2014 from itsaperfectday on Vimeo. Give Me It - Denver, Riot Fest 20-Sep-2014 from itsaperfectday on Vimeo. This was so great! Thanks to Olivier at it's a perfect day. Cut Here - Denver, Riot Fest 20-Sep-2014 from itsaperfectday on Vimeo. Thanks to Olivier at it's a perfect day. Absolutely wonderful! Thank you, Robert! That was only the 6th time 'Cut Here' has been played live (though one was a Simon Mayo radio session). 2 times in 2001 (was also "played" on Top of the Pops in Germany, but wasn't live), 3 times in 2002. Last was July 23rd, 2002 in Rome. This is the 1st time it's been played in the US.